I have decided to start blogging using WordPress instead of Blogger because I’ve learned through one of my classes with John Sanpietro (he’s fabulous) that there are more choices and benefits with WordPress. So, you won’t see very many blog posts or card samples until I get them all moved over to this site. My other blog is http://www.classycut-ups.com if you want to see more before they’re all posted here. There’s only a slight difference in this blog and that is that there’s no dash in “cut-ups.) So, the address here is http://www.classycutups.com. Very easy to remember! Have you ever thought about starting your own flexible business that rewards you for doing what you love and making new friends along the way? Stampin’ Up! has given that to me and I would love to share that opportunity with you. 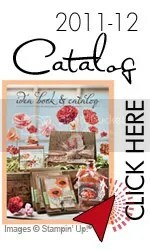 Or maybe you would just like a little bit of extra income to support your craft habit! 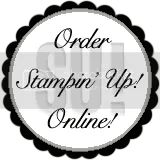 Tomorrow, July 31st, is the last day to sign up to be a Stampin’ Up! Demonstrator (or to sign up as a Hobby Demo) for only $99.00 with no shipping or handling costs!! Classy Cut-ups is a team of Demonstrators and we would love you to join us. We have several opportunities to attend training and team meetings and Stampin’ Up! 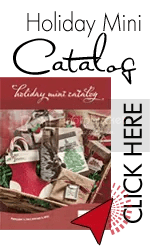 has online videos, card samples, scrapbooking samples, and an on-line community to provide support and ideas, both creative and business, as well as a place to chat and share. If you would like to become a Hobby Demo and get 20%, or more, off each and every purchase you make, just make your minimum purchases each quarter. You don’t need to do anything else!! Just click on the “$99.00 Promotional Button” in the right-hand column to get started. Feel free to call me if you have any questions. $99 Starter Kit + Free Project Kit! Plus, join in July and get a FREE Christmas Keepsake project kit—a $40 value! Imagine an afternoon spent chatting with friends while creating something beautiful—isn’t that what Stampin’ Up! is all about? But act now because this special kit is only available as part of this limited-time offer. Join Stampin’ Up! in July and get brand-new products, including an exclusive project kit—all for just $99!